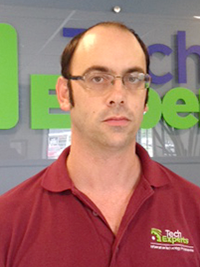 Frank DeLuca is a field technician for Tech Experts. 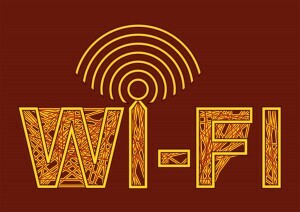 Wi-Fi 6 (also known as 802.11ax) is the next-generation wireless standard that is faster than the current king, 802.11ac. More than speed, it will provide better performance in congested areas, from stadiums to your own device-packed home. Fortunately, it’s coming soon, slotted for a 2019 release. As usual, the latest Wi-Fi standard offers faster data transfer speeds. If you’re using a Wi-Fi router with a single device, maximum potential speeds should be up to 40% higher with Wi-Fi 6 compared to Wi-Fi 5. Wi-Fi 6 accomplishes this through more efficient data encoding, resulting in higher throughput. Mainly, more data is packed into the same radio waves. The chips that encode and decode these signals keep getting more powerful and can handle the extra work. This new standard even increases speeds on 2.4GHz networks. While the industry has shifted to 5GHz for less interference, 2.4GHz is still better at penetrating solid objects. And there shouldn’t be as much interference for 2.4GHz as old cordless telephones and wireless baby monitors are retired. A new “target wake time” (TWT) feature means your smartphone, laptop, and other Wi-Fi-enabled devices should have longer battery life, too. When the access point is talking to a device (like your smartphone), it can tell the device exactly when to put its Wi-Fi radio to sleep and exactly when to wake it up to receive the next transmission. This will conserve power, as it means the Wi-Fi radio can spend more time in sleep mode. And that means longer battery life. This will also help with low-power “Internet of Things” devices that connect via Wi-Fi. Wi-Fi tends to get bogged down when you are in a crowded place with many Wi-Fi enabled devices fighting to receive and send data. Picture a busy stadium, airport, hotel, mall, or even a crowded office with everyone connected to Wi-Fi. The new Wi-Fi 6, also known as 802.11ax, incorporates many new technologies to help with this. Wi-Fi 6 can now divide a wireless channel into a large number of subchannels. Each of these subchannels can carry data intended for a different device. This is achieved through something called Orthogonal Frequency Division Multiple Access, or OFDMA. The Wi-Fi access point can talk to more devices at once. The new standard also has improved MIMO, or Multiple In/Multiple Out. This involves multiple antennas, which let the access point talk to multiple devices at once. With Wi-Fi 5, the access point could talk to devices at the same time, but those devices couldn’t respond at the same time. Wi-Fi 6 has an improved version of multi-user, or MU-MIMO, that lets devices respond to the wireless access point at the same time. This wouldn’t just apply to busy public places, but also at home if you have many devices connected to Wi-Fi or if you live in a dense apartment complex. 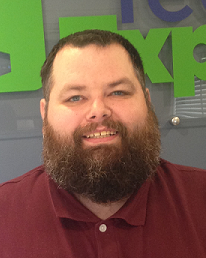 Ron Cochran is Help Desk supervisor for Tech Experts. In today’s day and age, everyone wants or needs to be connected to the Internet. Whether a person is at your place of business for a teeth whitening session or eating their favorite club sandwich, the need to be connected is ever present. Here is where innovative thinking comes into play. Giving your customers or clients a WiFi connection can increase satisfaction. It can be aggravating to wait around because the doctor is running late, the repair is taking longer than expected, or any other unexpected inconvenience that eats into your personal time. However, if they can work, surf the Internet, poke around on Facebook, or catch up on their favorite TV shows, they’ll be less likely to track the passage of time or complain about the wait. By offering your visitors WiFi, you can also gather data about them. If you require customers to sign in via a social media service to access your WiFi, you can get customer information that will allow you to interact with them and promote your business. Setting up a WiFi connection doesn’t mean that the users have access to your company’s main network. You can keep all of your business data safe and secure. First, you’ll want a separate router or WAP so that you can isolate their connections from your business network. While setting up Internet for your customers might seem like a breeze, it’s important to be aware of the potential risks. Sometimes, customers may abuse public WiFi and use it to download inappropriate images or pirated software and media. This will slow down your Internet and network connection. Fortunately, these issues and concerns can be addressed if you use the right kind of hardware-software combination and you have a knowledgeable IT company set it up for you. The cost of setting up a guest WiFi connection doesn’t have to cost an arm and a leg either. Another plus to offering free WiFi to your customers is that it costs almost nothing to supply it. You’ll want to have an additional router to keep customer WiFi separate from your business Internet to prevent any security issues, but a $50 router will easily allow you to provide customer connectivity. Depending on customer usage, you may need to increase bandwidth or add a separate Internet account, but you can address that when the need arises. Now that you’re getting ready to offer free WiFi to your customers, you need to consider how much bandwidth you’ll need. Bandwidth determines the speed of the Internet, so it is important to have enough of it for customers to be able to browse without frustration. Offering free WiFi is great, but it means nothing if the connection is too slow to be useful. You can also control the speed of their connection which will also keep your Internet connection from becoming slow. I would plan on giving each user 1.5 megabits of speed. You can also limit usage to a certain radius, restrict the times of day it’s available, and limit their time on it to a certain number of minutes before they have to reconnect. Overall, the thought of offering a WiFi connection at your place of business is an easy, cheap investment to stay up on the changing times. Just remember to keep the client/customer connections separate from your business network, lock down the security, and restrict bandwidth hogging applications — and you’ll be right on track. 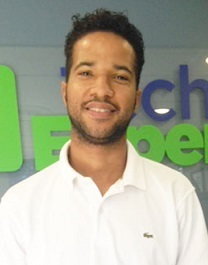 Anthony Glover is Tech Expert’s network engineer. When it comes to wireless solutions, the average user can get overwhelmed by the terms that are often used – and, in some cases, there are devices that sound like they do exactly the same thing. We’re here to help and give you some information on the differences between the solutions you’ll encounter. There are several router solutions out there made by several manufactures. The wireless solution you want to approach when running your business will not only give you a wireless access point, but give you good range and the least amount of interference. If you are running a small business, a consumer grade router may suffice for a small structure of users. It’s a good solution if you are just getting started with your network infrastructure or if you want a decent wireless radio. This is a good solution if you are trying to cover a distance of about 2000 sq feet. 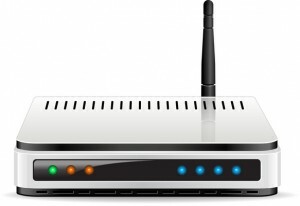 Routers also provide a DHCP capability that will allow more than one user to use your Internet connection. Most routers have up to 4 ports and open doors to direct network connectivity for your devices, such as printers, range extenders, network-attached storage devices, or even additional access points. Some wireless routers even provide VPN capabilities that will allow traffic to be routed from one location to the next, providing a gateway between sites. Access points are similar to routers minus the firewall and additional ports. They support port forwarding and have secure wireless capabilities. Some even support the POE function (Power On Ethernet). This function allows powering the device using a POE device and Ethernet cable and allows placement virtually anywhere. Not to mention, they add domain capabilities via wireless to allow a workstation to join a specific domain. There are two types of access points available: consumer and enterprise grade access points. Consumer grade access points are access points that are typically designed for the home user while enterprise access points are for users that need additional features that are designed for business use, such as manageability, and offer a better solution for security. Today’s wireless access points provide support for Wireless AC, which have speeds of up to 1200 mbps and are compatible with older Wireless B, G, and N.
Most provide a single Ethernet port to provide connectivity to the network. supporting 10/100/1000 gbps. Configuration GUI can be accessed by utilizing any browser that’s connected to the network. Some can even be used both indoors and outdoors, providing placement flexibility. Network-attached storage (NAS) can be an essential form of storage for any small business that needs to access data and share it amongst many. The device provides a central location that users can access and allows storage data to be copied and saved. NAS devices also have room for more than one drive for additional storage options. Several manufactures have NAS devices available, so remember to read hardware reviews to make sure you are selecting the ideal NAS device and make sure to review the features to make sure it is within your business needs. Which Is Better – Ethernet Or Wi-Fi? 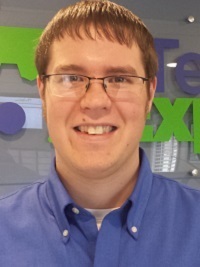 Luke Gruden is a help desk technician for Tech Experts. To physically plug in your computer to the Internet or to use the air waves to connect to the net — more popularly recognized as Wi-Fi — is a good question to ask with many good answers, but it comes down to what you need out of your Internet connection. An Ethernet connection is a wired connection from one network device (like your computer) to another network device. This wired connection is usually made of copper with some form of shielding. Some Ethernet wires are even designed to take harsh weather conditions. Ethernet connections come in many different sizes and can be cut and made into any length you want, with 329 feet usually being the limit of a single long Ethernet cord. A Wi-Fi connection is where one network device connects with another network device by sending wireless signals. The distance that a Wi-Fi signal can travel is based on the strength of the signal, type of signal, and the objects and walls between both Wi-Fi devices. There are different type of wireless signals like N signal, G signals, and AC signals which can have a large impact on distance and quality of signal. The benefits of using Wi-Fi are that you don’t have wires restricting where you can place your computer. This is especially useful if you need to move to different locations in a home or office without losing your Internet connection. Wi-Fi is easy to share with others as you don’t need an Ethernet cord for each device that wants access. Your router can still have a limit of how many connections can connect, however. The disadvantages of using Wi-Fi are that it can be very unsecure and have performance issues with maintaining speed or connections. Public Wi-Fi connections can be compromised or falsified, causing everyone using the signal to have their data stolen. I avoid using public Wi-Fi signals as it can cost me all my credentials for websites I use. The benefits of using an Ethernet connection is that it is the most consistent and fastest connection you can have with another network device, providing consistent speed. Ethernet connections are physical and can easily keep track of who is connected to the network and where. Ethernet speeds do not slow down with distance or obstacles. If you can plug an Ethernet cord in, the speed difference between a long cord and a small cord is negligible. The disadvantages of using Ethernet cords is that if the cord is cut or damage, you most likely need to replace the whole Ethernet wire. It can be tricky to conceal Ethernet wiring and require holes to be drilled throughout the building. You usually cannot move Ethernet wires along with you if you are using a laptop. What it really comes down to between using Wi-Fi and Ethernet is if you favor security and speed or if you favor convenience and sharing. If you need a secure environment with fast Internet speeds, you want to use a wired gigabit Ethernet connection. If you need many strangers, family, or friends to connect easily and you need access in many rooms without hassle, you want to use a Wi-Fi connection. Choose what is best for your business or home; if you have any questions, reach us at (734) 457-5000 and we can help you narrow down your choices. 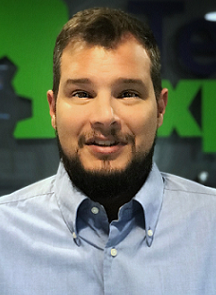 Mike Simonelli is a network technician for Tech Experts. It’s a pretty common scenario: a small business wishes to add Wi-Fi to its existing network infrastructure. A quick trip to the nearest big-box store reveals several Wi-Fi capable routers or access points to choose from. Grabbing up the mid-priced model, the business owner heads back to the shop and uses the included Ethernet cable to plug the new device into an existing switch and, just like that, instant Wi-Fi. There are a couple of concerns regarding the above scenario that the savvy business owner should be having. The first and most obvious: “I plugged it in and now everyone with a laptop has unrestricted access to my network.” How do you control who can connect to your Wi-Fi? The answer is to enable a wireless security protocol on the router or access point. WEP is an acronym for Wired Equivalent Privacy (or Wireless Encryption Protocol) and it was designed to provide the same level of security as that of a hard-wired Ethernet connection. Because wireless networks broadcast messages using radio waves, they are subject to eavesdropping. WEP provides security by encrypting the data to protect it as it is transmitted from one point to another. Almost all wireless devices will support WEP and instructions for enabling it on a particular device should be readily found in the documentation. Enabling WEP will keep people without the correct password off your Wi-Fi and also prevent unauthorized eavesdropping of network traffic. Another often overlooked concern is changing the default credentials that are needed to login and administer the new wireless device. I can’t tell you how many times that I’ve connected to a wireless network and browsed to the default gateway I was assigned (normally something like http://192.168.0.1) and typed in “admin” and “password” on the login form that is presented and gained access to the router’s configuration. The username “Admin” and the password “password” are typically the default credentials as they come pre-configured on Linksys routers, as well as some other brands. If these credentials work, then potentially anyone can have unrestricted access to your router’s configuration. At this point, no wireless security protocol such as WEP will protect you since it can simply be turned off in the router’s administration interface. 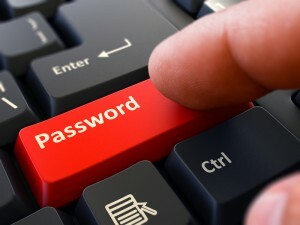 Worse yet, an intruder can set his/her own password and change the admin password to something else. Once this happens, usually the only way to regain access to your own Wi-Fi network is to factory reset the device, which removes all of your configurations. The bottom line – never leave a wireless device at its default settings when you connect it to your network. By taking the time to follow these simple guidelines, you will make your wireless device a worthwhile addition to your infrastructure, as well as making your network that much more secure. 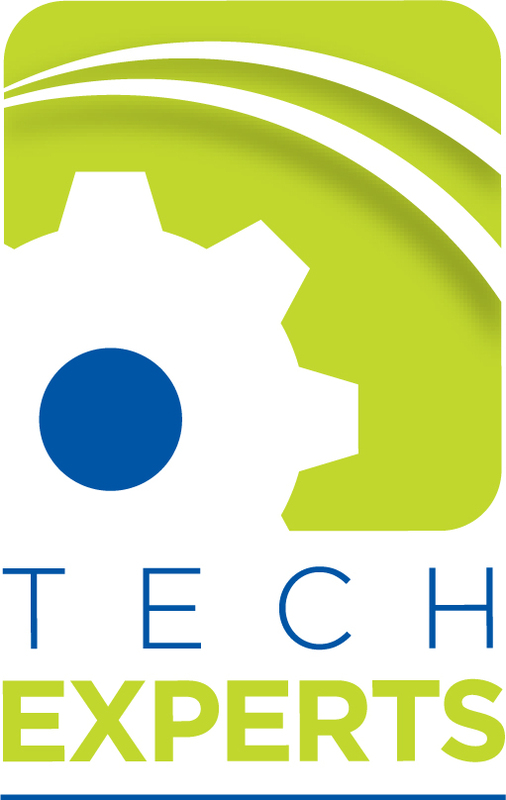 If you have any questions during your router set-up or if you’d like to find out how to increase your office’s security using your current router, give Tech Experts a call at (734) 457-5000, or email support@mytechexperts.com. We’d be happy to help. One of the first things I look for when I enter any establishment is the WiFi network. My laptop needs it. My phone needs it. I need it. It comes as a shock to me in the rare circumstance that I can’t find one or, worse yet, when I do find one but I am denied the network password. Usually when this happens, I am there as a consumer. This annoyance is even more frustrating for people that are visiting for business such as vendors, consultants, and clientele. Such people rely on Internet access to communicate with their own offices via e-mail and instant messaging or remote access to product databases and other information. These frustrations can be avoided by the addition of a guest WiFi network and can even benefit your own existing WiFi network. Adding a guest network to an existing WiFi infrastructure can be a cost effective way to improve the overall security and privacy of your network. Segregating your network will keep your workstations, servers, printers, and other network devices secure while keeping your clients, vendors, and other guests off your main network. Allowing visitors unrestricted access to your company’s primary WiFi network can be a costly mistake. These unmanaged mobile devices can carry all types of sophisticated malware, trojans, viruses, and network probes, just waiting for a chance to attack your network. Keeping these devices segregated to their own guest network will, at the least, add a layer of protection to your own equipment. Not only will a guest network keep visitors off your primary WiFi, but it will also keep you from having to give out your primary network’s password to a multitude of strangers. A complex, never changing password can be used for your employees, while a short and simple password can be given out to guests upon arrival, and then changed frequently. In addition, you can configure your equipment to only broadcast the network ID of your guest network and keep your primary network ID a secret, adding an additional layer of security. Finally, some of the higher-end WiFi access points and routers will allow you to limit the amount of bandwidth that is allocated to your guest network or control the type of traffic that is allowed to pass through it. Doing so will prevent your visitors from inadvertently bringing your network to a halt with bandwidth-hogging traffic such as streaming video and torrent downloads. If your business is already allowing visitors access to the primary WiFi network, then there is simply no downside to configuring a second WiFi network for guests, especially if your wireless hardware already supports the option. Doing so will make your network more secure by allowing you to keep the network IDs and passwords a secret, as well as make it easier for your visitors to connect. Once connected, your guests can then be limited as to how much of your resources they can use, ensuring that your normal business operations aren’t interrupted. If you have any questions about WiFi permissions or how you can increase both security and customer satisfaction in one go, contact us today by calling (734) 457-5000. What Can I Do To Strengthen My Wifi Signal? A weak WiFi signal in certain areas of your house could limit where you do your work and enjoy your entertainment activities, such as streaming films music or playing online games. This is actually a common issue with a couple of relatively easy fixes that will improve your wireless Internet connection throughout your house. The first option is to replace the antenna on your router with a taller one. If your router has a built-in antenna, you can likely add an external one and see a marked increase in signal quality. There are two main types of antennae: omnidirectional and directional. An omnidirectional antenna transmits in all directions, while you can point a directional antenna where you need to strengthen the signal without making it easier for others to latch onto your WiFi. The other alternative to improve your wireless signal is to install a range extender, particularly if the area that requires the strongest signal is behind thick walls or is relatively small. There’s no doubt about the convenience of using wireless in your home or office. However, you don’t want just anybody hopping on your WiFi, using your network, and breaching its security. Having a unique password doesn’t mean you are immune to this problem. If you ever notice that your connection is much slower than usual, it’s worth taking a peek at just how many devices are connected to your wireless network. You can download and install a program aptly called “Who Is on Your WiFi” to know if there are other people connected to your hot spot who should not be. The free version is sufficient to detect intruders, but there are also paid versions with extra features like text notifications, audit logs, etc. Once you install the application, all you have to do is follow the tutorial to run a scan of your network and review information about devices that are linked to your connection. Initially, you may not recognize which MAC and IP addresses correspond with which device, but there’s an easy way to identify them. Turn off all of your devices, then turn them on one by one. If you only have one known device connected to your WiFi, and the “Who Is on Your WiFi” application is showing more than that device, it’s a safe bet someone is sharing your Internet connection. Take the appropriate measure of immediately changing your wireless password and only share it with family or designated individuals you want to have it. For future scans, you can label each of your devices as something easily recognizable, such as My Phone or Dad’s Laptop, to facilitate the identification of intruders. Choosing and buying a router for your wireless internet at home can be a frustrating experience; you want speed, performance and coverage as well as longevity in the life of your upgraded router. It’s not an easy task if you add to it the complexity of all those numbers attached to the router and the knowledge required to install it. Ask yourself: why am I buying a router? If it’s simply to build a wireless network at home and have access to the Internet, you could probably get away with a router at under $200. However, if you want extra features, such as added security, parental controls, the ability to connect USB printers, and added external storage drives for data sharing, you need to search for a higher end router. Also, you may not even need to have a wireless router in your house, especially if you use a PC or laptop that is already connected to a cable or DSL modem and there are no other devices that need to be connected wirelessly to the internet. Should you go for a single or dual band? Bands are the frequencies in which wireless communications operate. A single-band is geared toward simple wireless networks and a dual-band router operates on both the 2.4 and 5 GHz frequencies. Although a router that sustains the 5 GHz frequency will work great for gaming and online streaming, it is not as good as the 2.4 when it comes to distance. So, consider the distance you need to cover when choosing the required band. When buying your next router, remember that soon enough the 6th version of the Internet Protocol (IPv6) will be here, so you will need a router that supports this transition. Another consideration is extra features that a router may offer, such as SD card slots and USB ports for printers for example. If you want to future-proof your investment, make sure you get an 802.11 AC router, which is fast becoming the standard in wireless networking. Finally, even with home networks, the more security, the better! Every day, technology advancements are changing the way we live our lives. From the way we communicate with family, friends and co-workers to the way we shop, provide healthcare, and even land that dream job. Now, thanks to advancements in the standard known as “WiFi” or wireless fidelity, we can now add the way we watch television to that list. A recent study shows that by the end of 2011, more than 20 million television sets equipped with WiFi connectivity will have been shipped worldwide to mainly North America, Western Europe, and a handful of selected Asian countries. So you might ask yourself, “What is WiFi equipped television?” To better understand this new rising technology, we need to take a look at what WiFi is. WiFi, which stands for wireless fidelity, is a communications standard that allows WiFi enabled devices such as laptop computers, MP3 players, smart phones, and soon televisions to connect to an access point (a wireless router or hotspot) which then connects your device to the Internet. From there, the possibilities are almost endless as to what you can access. TV industry producers now understand the power of this technology. They are also realizing how many people would love to be able to stream their favorite media websites such as YouTube, Metcalfe, CNN, Facebook, and MySpace directly to their television sets. One of the big trends this year has been the rise of Netflix, (which seems to be why we’ve seen the fall of Blockbuster and any other video/media rental business). Why would you ever leave your home if you could simply connect to a site like Netflix, or any of the other super popular media sites, and browse their thousands of movie titles right from the comfort of your own home, without having to leave the couch? You probably wouldn’t. This is why giants like Sony, Samsung, and Toshiba are working closely with technology gurus to make what could be the next big thing in television. As of right now, the people who already have this technology in their homes are pretty limited to what content they can stream to their sets. However, as this begins to boom in the marketplace, the evolution of full web browsing on your TV is something I’m sure we can look forward to seeing in the future.